The greater your fuel-efficiency, the less your carbon footprint. And with exceptional MPGs, this Nissan Altima treads ever so lightly on Mother Earth. The Nissan Altima 2.5 S will provide you with everything you have always wanted in a car -- Quality, Reliability, and Character. Stylish and fuel efficient. It's the perfect vehicle for keeping your fuel costs down and your driving enjoyment up. There are many vehicles on the market but if you are looking for a vehicle that will perform as good as it looks then this Nissan Altima 2.5 SR is the one! Beautiful color combination with Black exterior over Sport Interior interior making this the one to own! 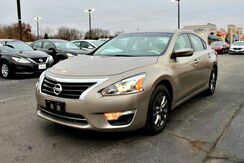 Contact Preferred Auto Illinois Road today for information on dozens of vehicles like this 2015 Nissan Altima 2.5 S.
This vehicle was engineered to be both economically and environmentally friendly with exceptional fuel efficiency. 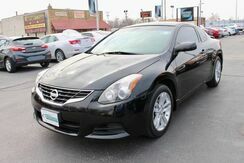 There is no reason why you shouldn't buy this Nissan Altima 2.5 S. It is incomparable for the price and quality. The quintessential Nissan -- This Nissan Altima 2.5 S speaks volumes about its owner, about uncompromising individuality, a passion for driving and standards far above the ordinary. This model sets itself apart with Handsome, flowing lines, two great engine choices, standard continuously variable transmission, available amenities to suit every taste, and excellent fuel economy from 2.5L. This vehicle was engineered to be both economically and environmentally friendly with exceptional fuel efficiency. Just what you've been looking for. With quality in mind, this vehicle is the perfect addition to take home. The quintessential Nissan -- This Nissan Altima 2.5 SL speaks volumes about its owner, about uncompromising individuality, a passion for driving and standards far above the ordinary. The Nissan Altima 2.5 SL will provide you with everything you have always wanted in a car -- Quality, Reliability, and Character. Looking for a clean, well-cared for 2015 Nissan Altima? This is it. The greater your fuel-efficiency, the less your carbon footprint. And with exceptional MPGs, this Nissan Altima treads ever so lightly on Mother Earth. Just what you've been looking for. With quality in mind, this vehicle is the perfect addition to take home. 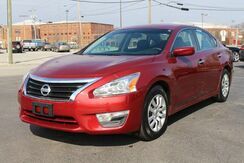 There is no reason why you shouldn't buy this Nissan Altima 2.5 SL. It is incomparable for the price and quality. Check out this gently-used 2014 Nissan Altima we recently got in. You could spend more on fuel each month than on your vehicle payments, so why not consider one with exceptional fuel economy like this 2014 Nissan Altima. The 2014 Nissan Altima offers plenty of choices for buyers looking for a smart, affordable midsize sedan. With a focus on building premium attributes into every facet of the new Altima--inside, outside and under the hood--buyers will find a car that punches above its weight in this hotly contested segment. Strengths of this model include standard continuously variable transmission, amenities to suit every taste, handsome, flowing lines, and excellent fuel economy. 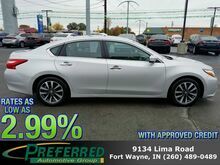 This 2013 Nissan Altima 2.5 S is offered to you for sale by Preferred Auto Fort Wayne State. Everyone hates the gas pump. Skip a few gas stations with this super fuel efficient Nissan Altima. The look is unmistakably Nissan, the smooth contours and cutting-edge technology of this Nissan Altima 2.5 S will definitely turn heads. 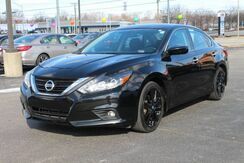 With a focus on building premium attributes into every facet of the new Altima--inside, outside and under the hood--buyers will find a car that punches above its weight in this hotly contested segment.